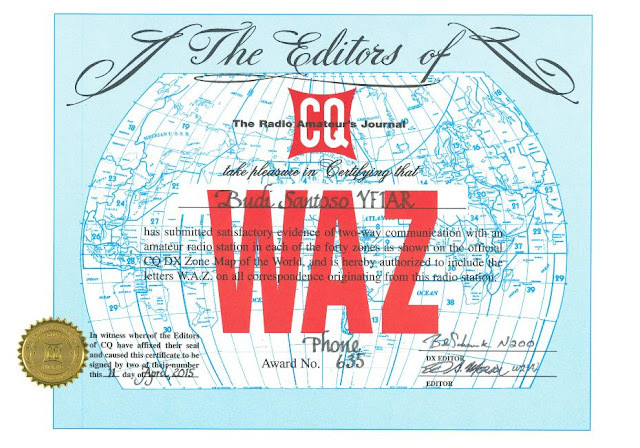 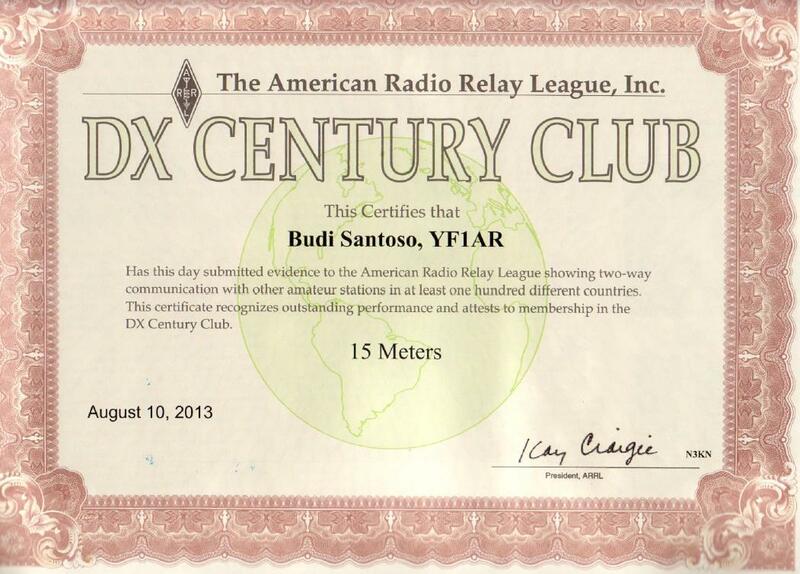 I got my first amateur radio license in 1987. 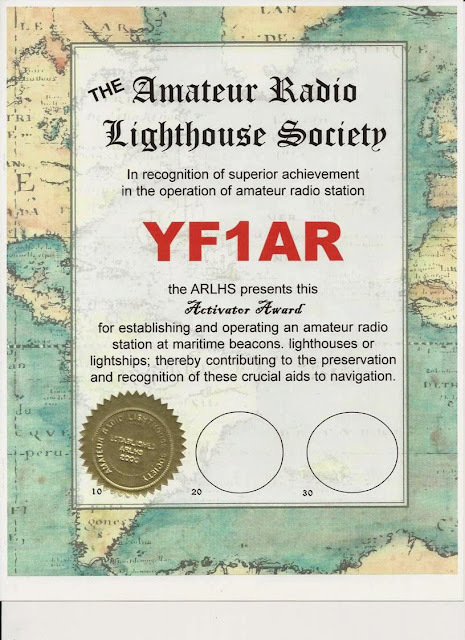 My first hobby was actually as an SWL and then after listening to the QSO:s on the ham bands, I became very interested in becoming a ham. Working DX is my major activity as well as working on homemade antenna projects. 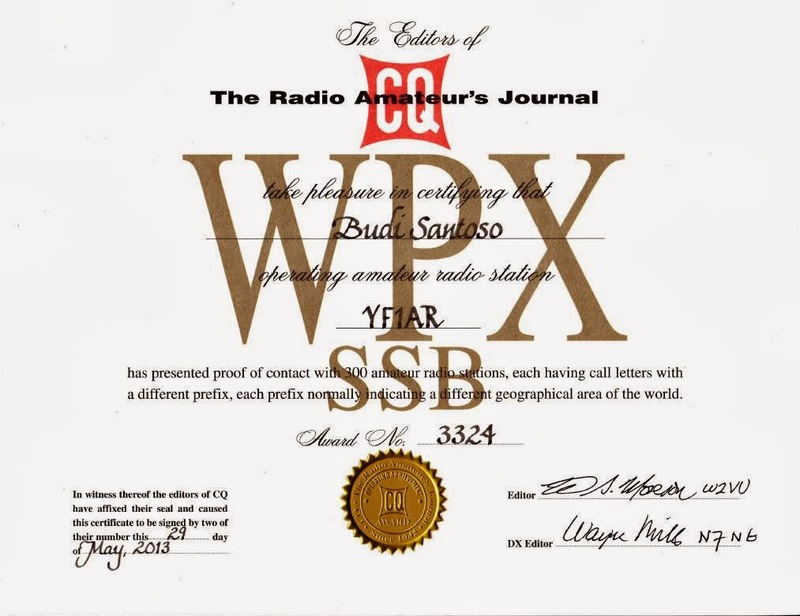 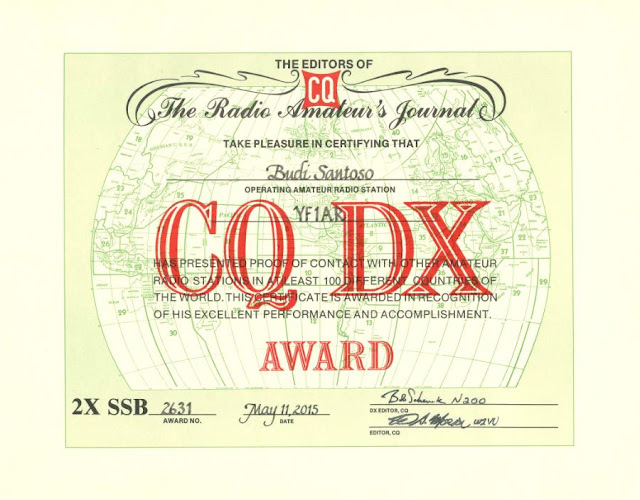 In 2002, I upgraded my ham license to have the privilege to make long distance QSO:s. During the peak of solar cycle 23, I have made over 30,000 QSO:s using a manual paper log. 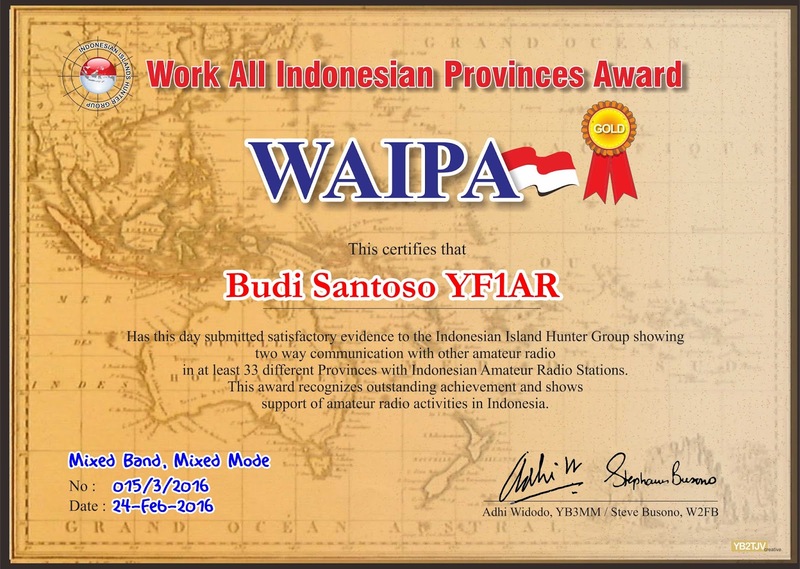 A lot of the hams I have met on the bands have become close friends; one of them is my best friend from France who is coming to Indonesia and I will accompany him traveling around my country. 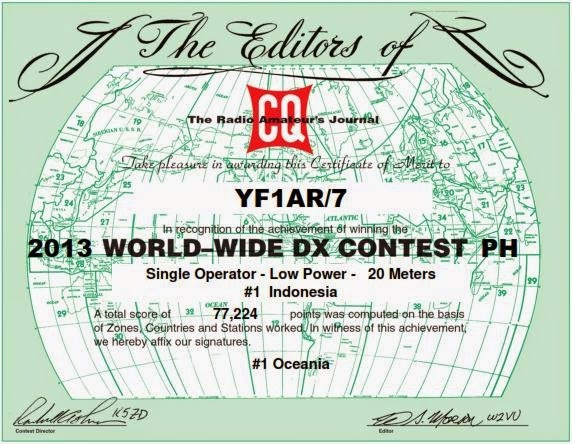 Making homemade antenna especially from wires is very interesting. 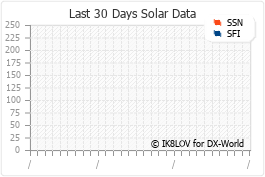 Luckily enough, there is a lot of space behind my home to make experiments. 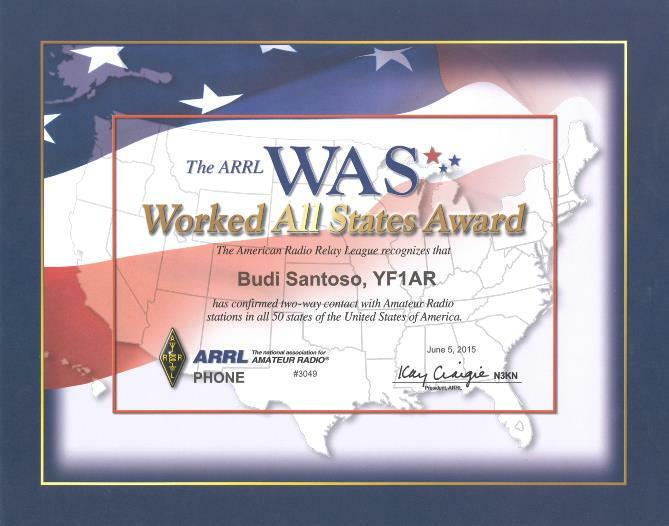 I have built many kinds of poor-man style antennas as well as beam antennas. In the meantime, I am busy at the office, and for several years, I was not on the air. In 2011, I meet N2OO Bob and asked him if he would like to be my QSL manager. 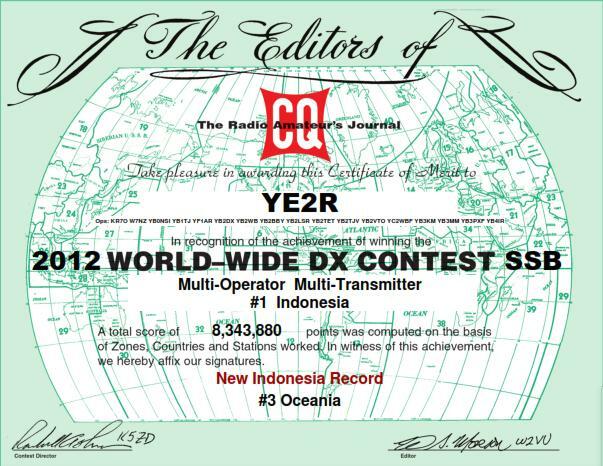 My QSL-card is the first one which has the logo www.dx-code.org as an attribute. Since I became active on the air again, I have put over 10,000 QSO:s using logging software in the log during solar cycle 24 and I am still going on. 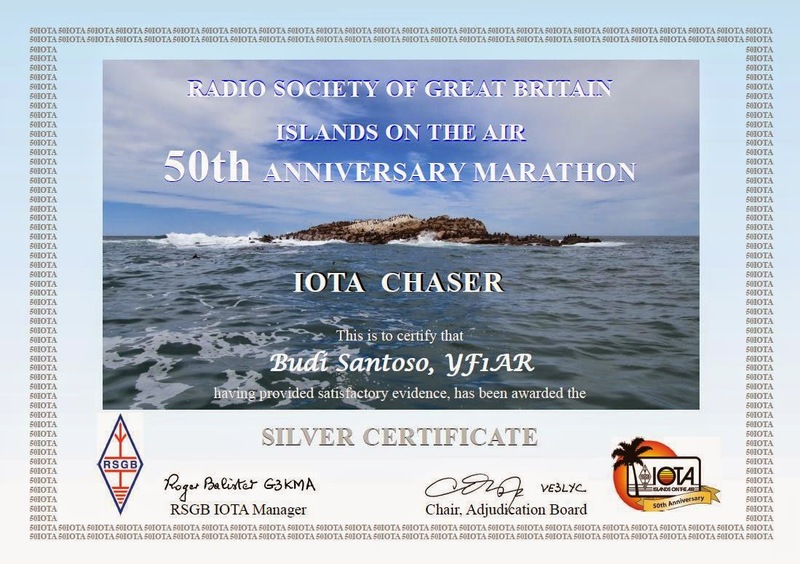 I also enjoying DXing as an IOTA chaser as well as looking for new entities, finally in 2012 via LOTW, I have got my DXCC on Mixed multi-band and Phone mode. 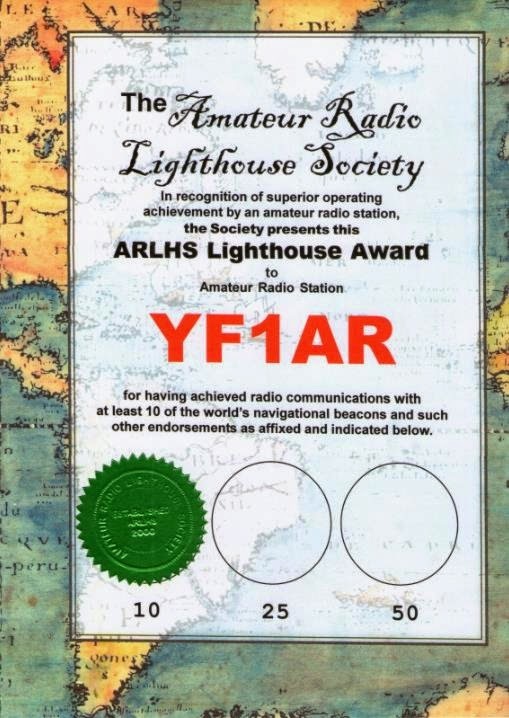 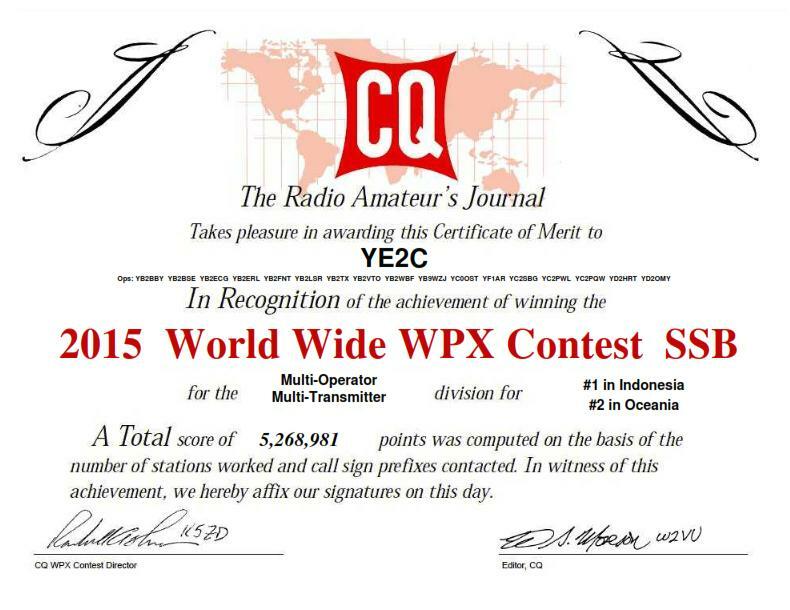 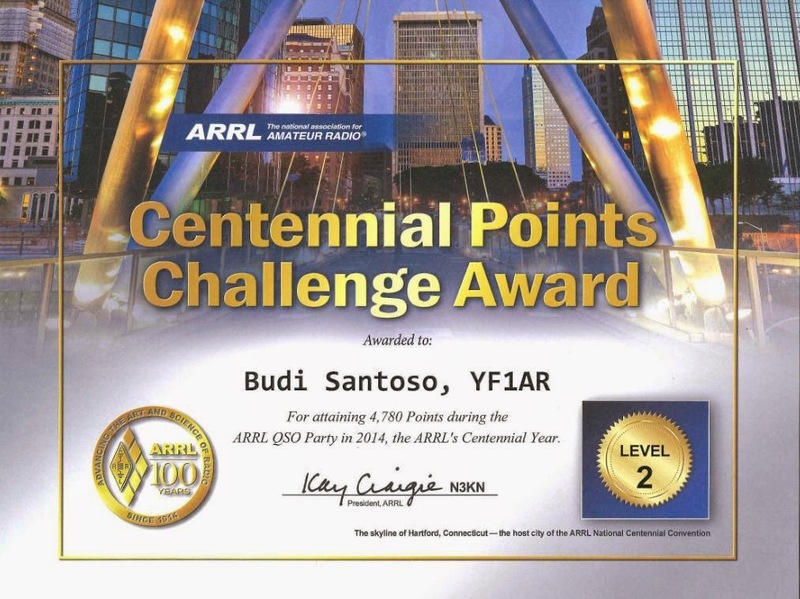 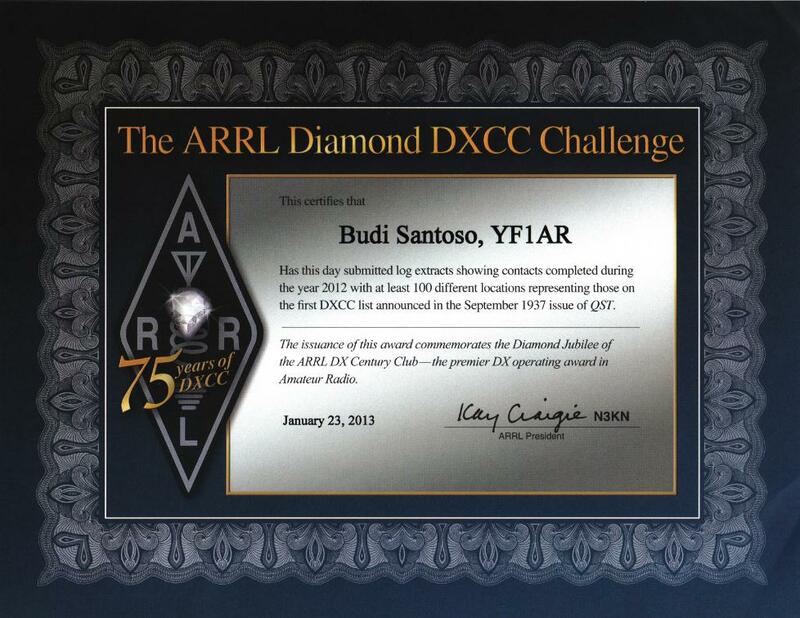 Participating in major contests is another part of my DXing. 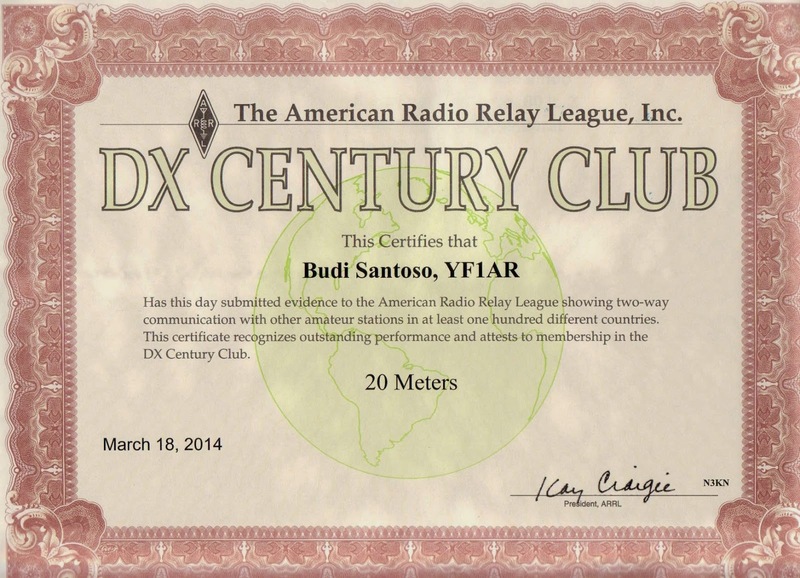 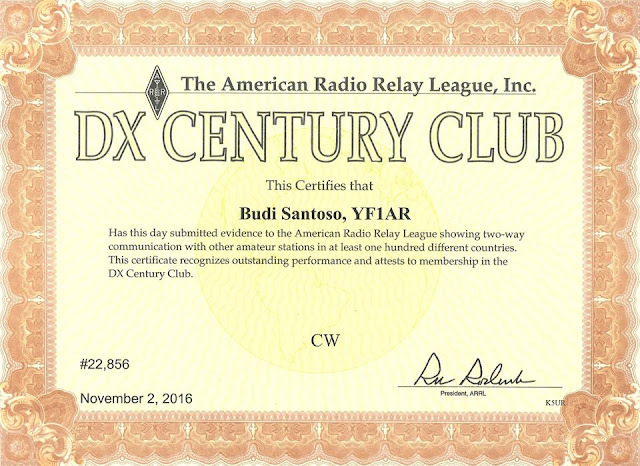 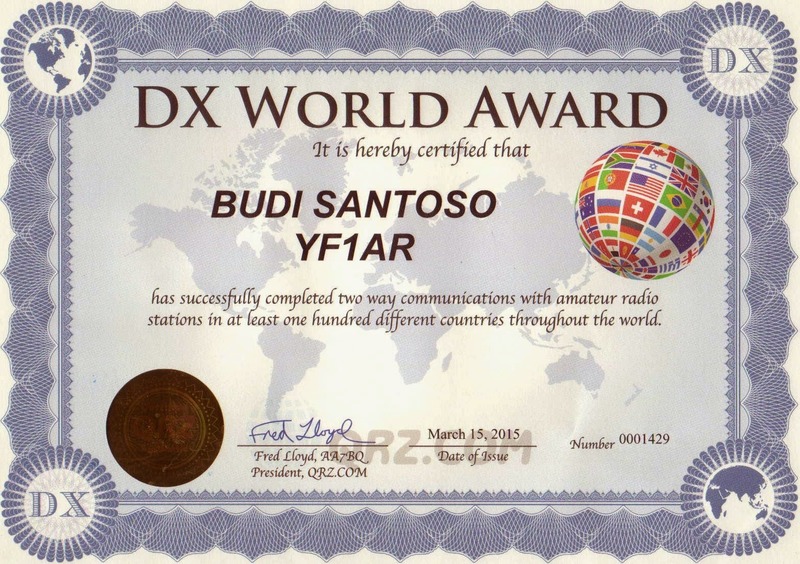 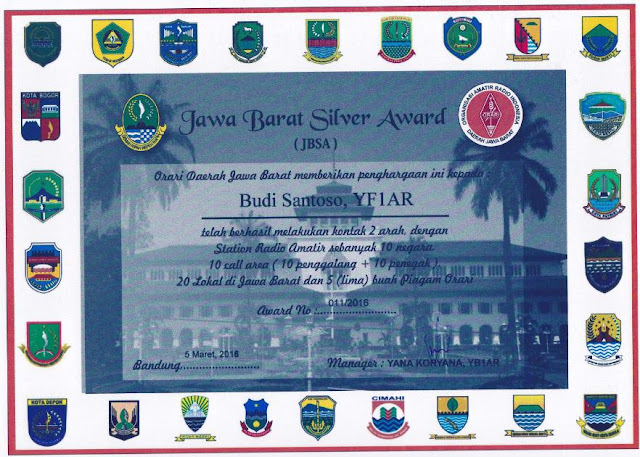 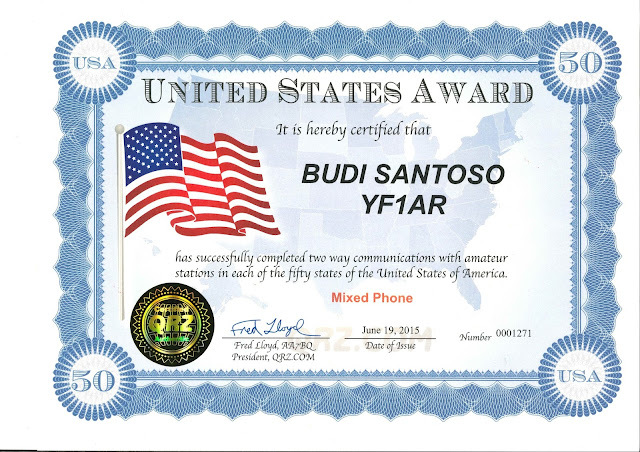 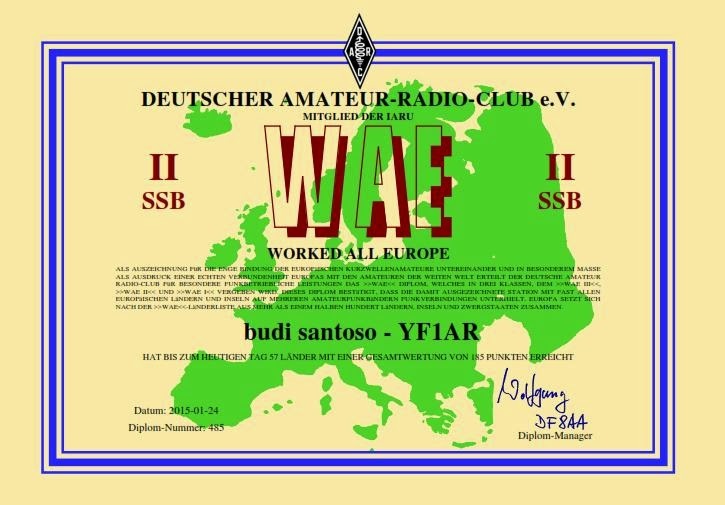 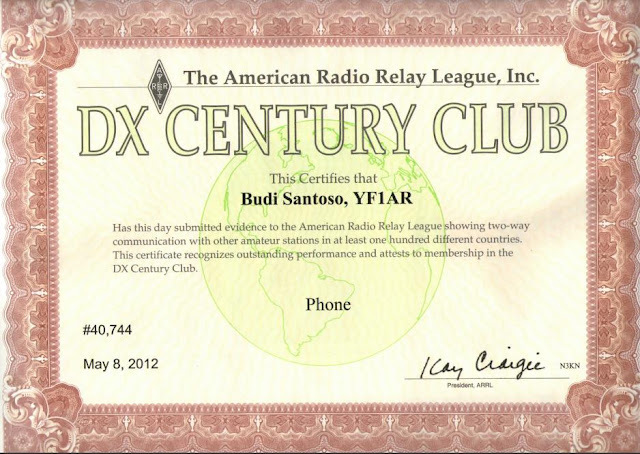 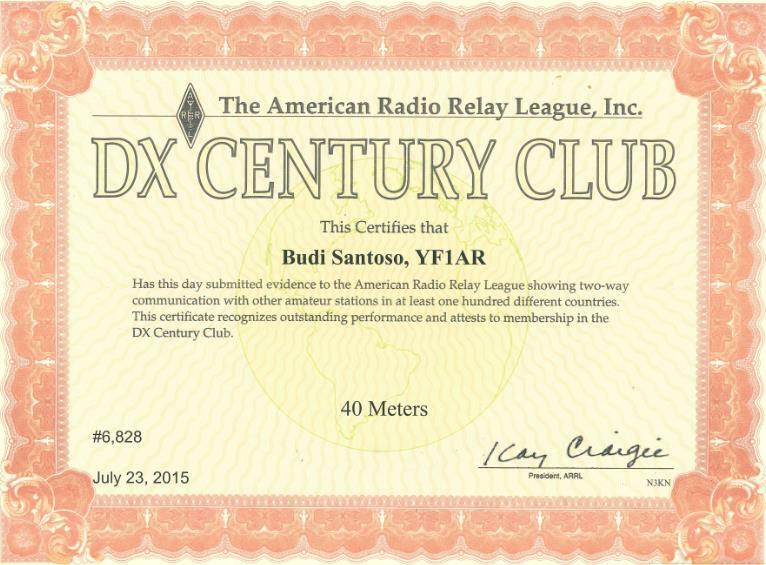 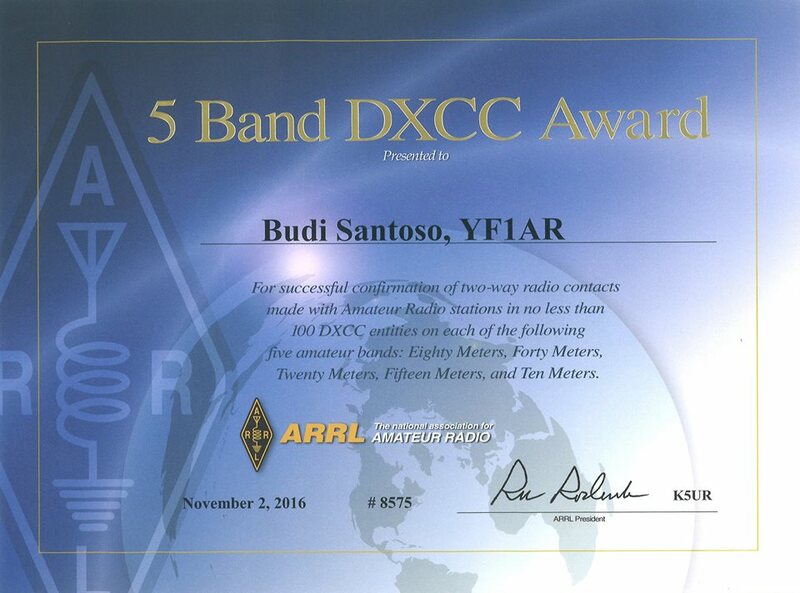 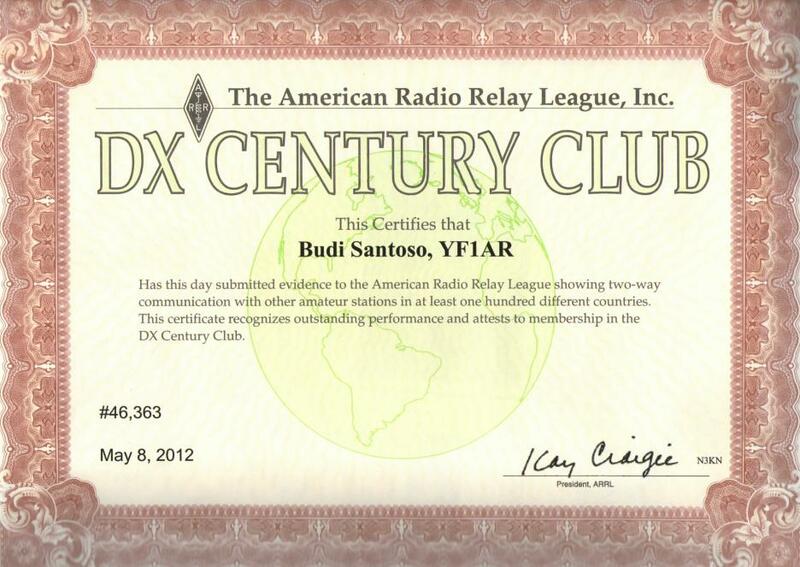 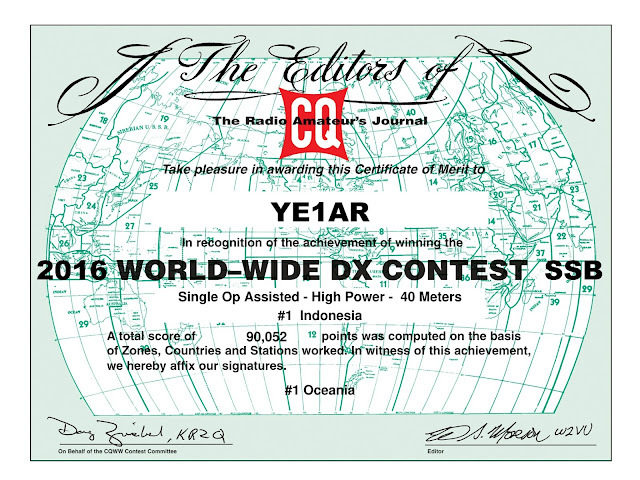 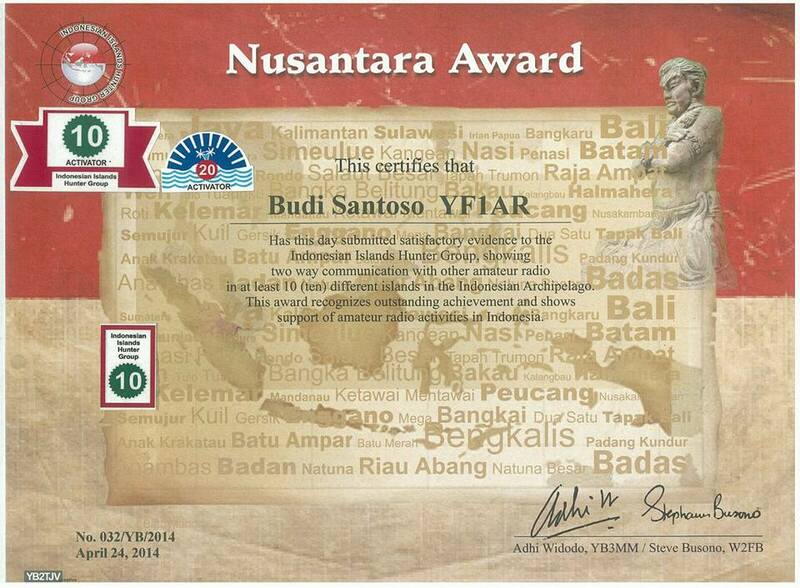 Now, I am active in my DX club, handling www.ybdxc.net. 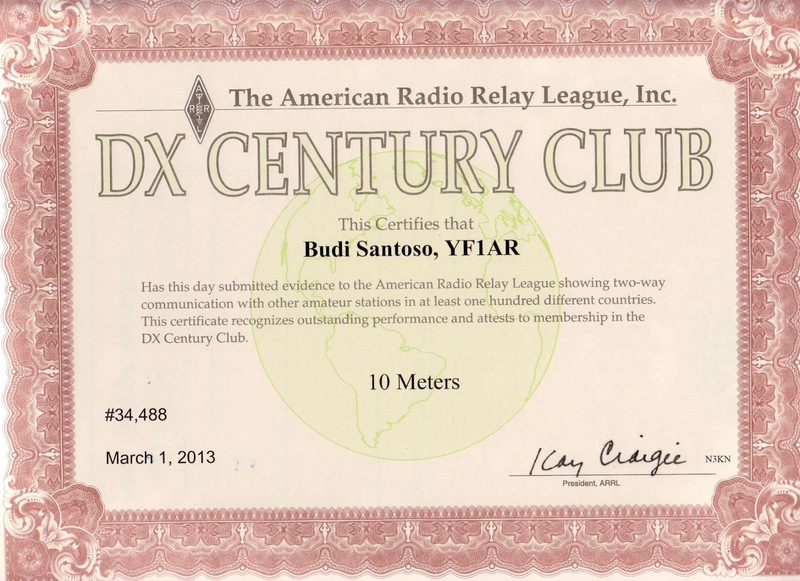 Lately, I have been preparing my contest club where we already have 5 antenna towers with some good contest operators. 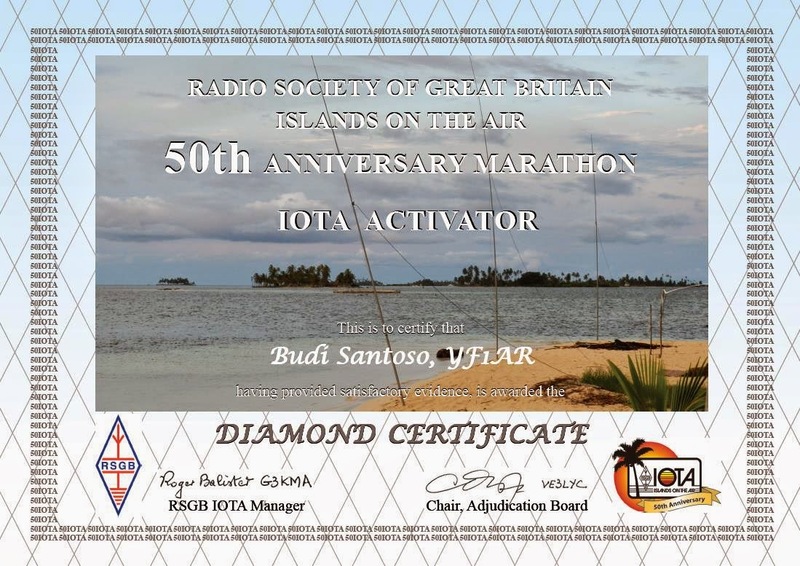 See you in the iota pile-up!